A project of the Coastal Arts League in collaboration with Senior Coastsiders and the San Mateo County Arts Commission. Classes are open to adults from around the Coastside. Residency isn't required. Parking is available. Every Friday afternoon, a different artist brings his or her talents to the Community Center for a fun social experience centered on art. Everyone loves creating a piece of art to take home while socializing with new friends. Taught by volunteers, there is no cost to workshop participants. Materials are provided by the Coastal Arts League. Meet in the Art room of the Sr. Center, 925 Main St.
Join Patricia Ryan Madsen on Friday November 2 in the art room. There we will learn the Japanese art of making postcards to send to your friends. Absolutely no drawing or art talent or experience is needed. This simple strategy for making a homemade card can be done by anyone. Using postcards Patricia will guide you to make personal cards to put in the mail. Bring any pens or small watercolors you have and other material will be supplied. To see samples of Etegami from around the world come to enjoy the exhibit in the Senior Center lobby. Laura McHugh joins the ranks of instructors for the Fall season 2018. In this class we will transfer images to raw canvas and use paint and gels to enhance the image. No drawing experience is needed. This technique is the basis for making finished art pieces and also for further embellishing or use as focal points in future mixed media assemblages. Bring any laser jet printed image up to 8.5x11 (copy them at the UPS store, not ink jet from home). All other materials will be provided. Join Laura McHugh on Friday November 30 in the art room. We will be exploring one of many mixed media techniques using GOLDEN artist materials. In this class we will use Gelli(R) Plates to transfer images to art-quality paper using GOLDEN OPEN paints. Absolutely no drawing or art talent or experience is needed. 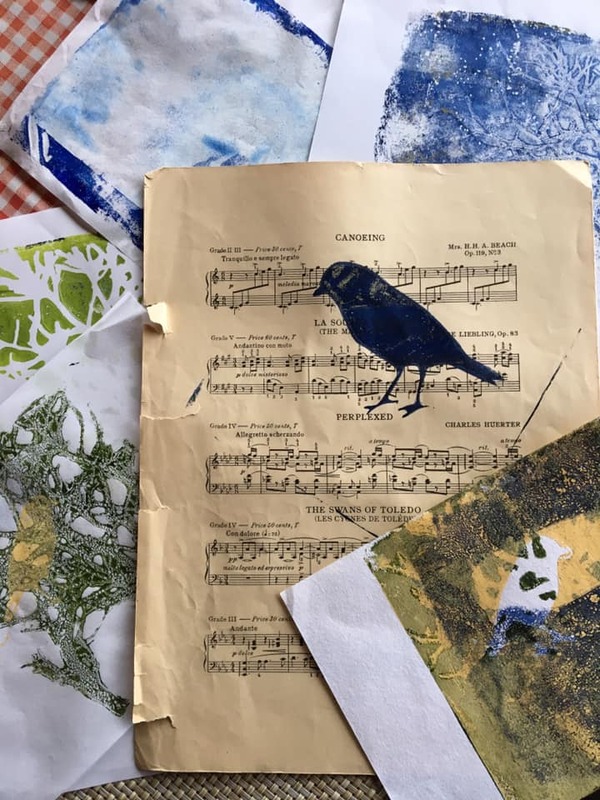 This technique is the basis for making finished art pieces suitable for framing, and also focal points that can be further embellished or used in future mixed media assemblages. Bring any mylar or heavy paper stencils you have. All other materials will be provided. We will start with a warm up making marks. 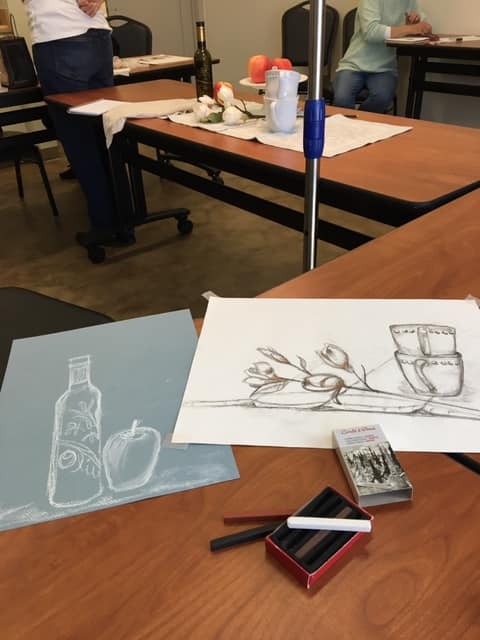 Rebecca Ellis, one of the originators of the art program, introduced the 2017 classes with three drawing techniques. Rebecca returns periodically, with great new activities. Greta Waterman is an oil painter, working out of her studio at the Peninsula Art Institute in Burlingame, CA. She is known for her vivid colors and abstract views. Greta has been an popular teacher, demonstrating oil pastels in the Senior classes. Friday Art Class. Thank you Coastal Arts League! Stephanie Lyons has scheduled teachers for the adult classes this year. She keeps track of attendance and the inventory of art supplies. Thank you, Stephanie! A new classroom arrangement at the Senior Center increases capacity to 15 students. ​Each class is taught by one artist with an artist assistant. "Good art history discussion and how art reflects the times (wars, economics etc). Good job Greta. Thanks." "Gary is really a great teacher. He’s genuine and funny and skilled. He is also a generous person. He often provides pens and paper to the participants to practice at home. He says he gets materials from friends who know his style." Anne Grauzlis joined the CAL Board as the on site liaison to the Senior Center. 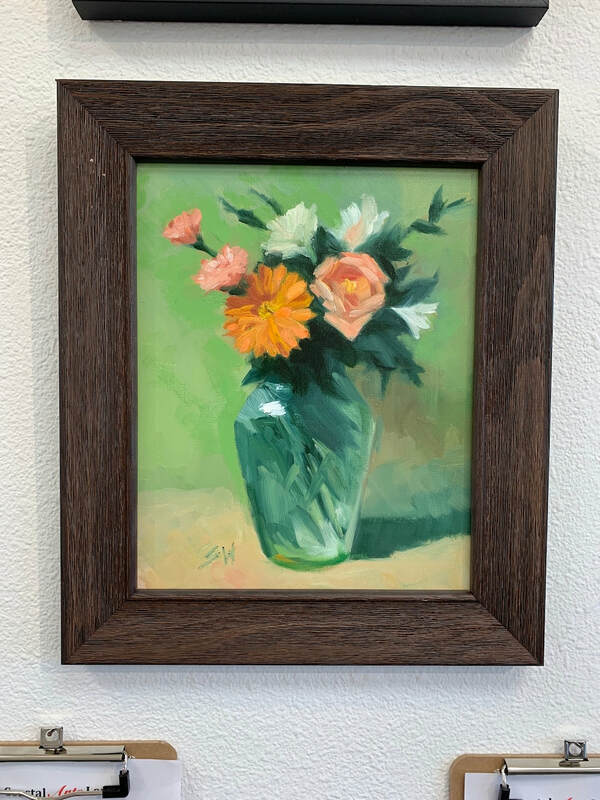 Anne can often be found hosting the Coastal Arts League Gallery at 300 Main Street, which is open from noon to 5:00 PM, Thursday through Monday. (Closed Tuesday and Wednesday) 650-726-6335. Sharon Ward teaches drawing skills. Retired Math Professor Bob Turner shared how to include perspective in our drawings. Patricia Keefe is a professional artist whose work includes sculpture, photography, watercolor and oil painting. She is a member of the Board of Directors at the Coastal Arts League.